On the admin menu (click the circle in the top right corner with your initials in it) go to Users. Select Add and enter the new user’s details. 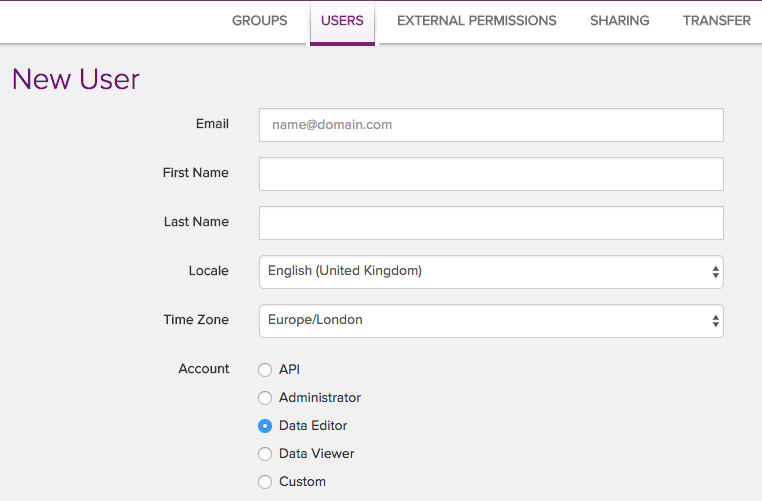 You can then choose their permissions by selecting a User Type. There are also advanced permissions where you can select what that user can do, company-wide, for each object type. When I share a group does every object of a specific type get included? How do I remove a user?